Version 1.9 of the Serato Scratch Live software is on its way - as always, the upgrade is completely free. Major new features include SP-6 Sample Player, LiveFeed, native MEP-7000 support, Loop Roll, enhanced History, and support for Video-SL 1.1. The new SP-6 Sample Player adds six extra audio players that can be triggered with the computer keyboard or a MIDI controller, turning compatible Rane hardware into a high performance sampler. Brand new in Scratch Live 1.9 is a groundbreaking feature called LiveFeed, taking live external audio and placing it directly on a Scratch Live virtual deck, all in real time. 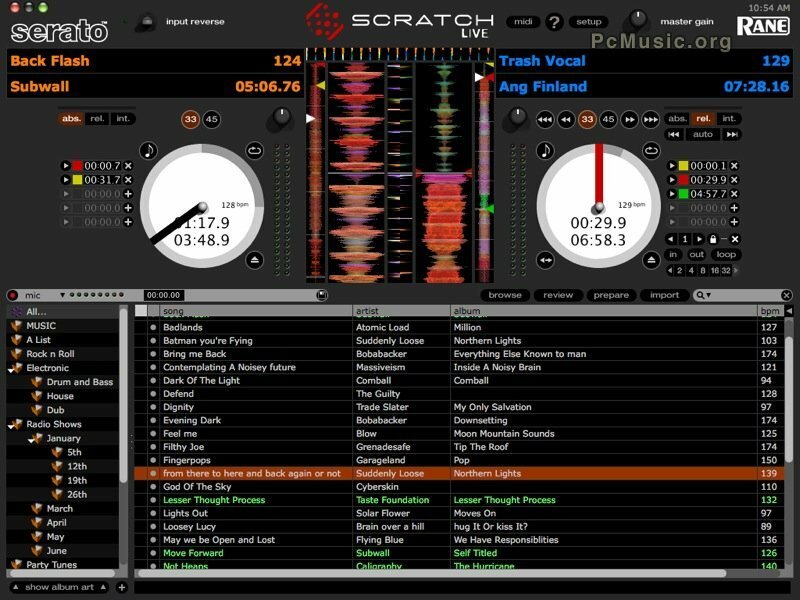 The DJ has instant control of live external audio with Vinyl, CD or MIDI. "LiveFeed gives DJs a live stream of audio to mess with, the creative possibilities are really endless", reports General Manager, Sam Gribben. The Pioneer MEP-7000 gains plug-and-play native support, joining the popular Pioneer CDJ-400 as a Scratch Live control surface. Control CDs are not required, and song data is shown directly on the MEP-7000's displays. Loop Roll adds an interesting new stutter effect, which can also be used in conjunction with the new LiveFeed feature. The History function now keeps a comprehensive record of every track played, during every gig. This is a real time saver for professional DJs who need to log their sessions. Album Art is also added to the virtual deck in Scratch Live, assisting with rapid song identification. Scratch Live 1.9 also adds offline video playback, in conjunction with the Video-SL 1.1 plug-in, also being shown at NAMM 2009. This feature lets Serato Video-SL users manage effects, cue and loop points for their videos without hardware connected. Video-SL 1.1 adds support for the Rane SL 1 and Rane MP 4.